Lieutenant Colonel Tony Monetti, Director of Operations of the 13th Bomb Squadron at Whiteman Air Force Base, Missouri, is an Air Force Academy graduate, a veteran combat command pilot of the B-52 and B-1 planes, and presently flies the B-2 stealth bomber. His honors include the Distinguished Flying Cross and the Defense Meritorious Service Medal. He is an author and speaker and Air Force spokesperson who motivates groups and corporate organizations worldwide. He was honored as Warrensburg, Missouri’s “2010 Man of the Year” for his outstanding contributions to the community. Penny Monetti is an author, motivational speaker and member of the Advanced Writer’s and Speakers Association (AWSA). Certified to counsel trauma and crisis victims through the American Academy of Christian Counselors, she works with combat veterans and military families dealing with PTSD. She is the founder of Connected Hearts, assisting needy and homeless children, as well as a nurse, educator and Bible study leader. Tony and Penny together founded Big Brothers Big Sisters (BBBS) of Johnson County, Missouri, where they make their home. They own a popular Italian restaurant, and together have three children. A veteran Air Force combat command pilot and his wife reach out to military families with encouragement, support and inspiration. 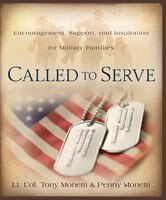 Called to Serve (Discovery House Publishers) by Lt. Col. Tony Monetti and Penny Monetti addresses the stressors that cause mental health difficulties, family problems and the high rate of military divorces. From over twenty-three years of experience in the military, the Monettis share help and resources to combat the issues that affect today’s warriors and their families. Candid true-life stories expose the challenges and temptations that warriors and their spouses experience and provide faith-based hope and counsel. A comprehensive, issue-related resource list will benefit military families and those who love them. The bus’s icy wipers fought to cling to the frozen windshield. Twelve anxious spouses from the 668th B-52 Bomb Squadron, stationed in Rome, New York, loaded their coat-covered, pajama-clad, sleepy-eyed toddlers and young children onto the navy blue bus. The engine’s loud revving pierced the eerie midnight silence. The bus’s tires furrowed fresh tracks on the snow-covered road that bordered the gloomy Air Force runway. The squadron commander had arranged a rare opportunity for spouses and children to bid their warriors goodbye, possibly for the last time, before they departed for a brewing war. We pulled onto the tarmac where a massive green KC-135 refueling plane created the backdrop for a bustle of military activity. My then two-year-old son suddenly burst out from his drowsiness, “That Daddy, Mommy! Daddy fly his co-plane!” Nico pointed to the sea of flight suits and leather bomber jackets. Any soldier wearing the olive-green uniform was dubbed daddy. Crew members cracked many a joke when Nico mistook one of them for his father. The runway floodlights illuminated an assembly line of daddies passing their flight bags down the line, up a metal stairway, and into the plane’s belly like a well-conducted symphony. I thought, Can’t you guys load slower? The deployment happened so quickly. Only two days earlier my husband, Tony, received open-ended orders to a location he could not share with me. His deployment would last six months to a year—time would tell. Tony started preparing me for this day three years ago, before we married. Serving in combat is the reality of joining the military, but every warrior and military family hopes that conflict will never happen. However, war in Iraq knocked at our country’s door, and the US military hastily answered. The countdown to his departure prompted trips to obtain life insurance, create a will, and grant power of attorney—just in case. Tony had promised Nico a campout when the weather warmed. Even though the fire hydrants lay buried under the January snow, Tony bought an orange, four-man tent to fulfill his promise. He transformed our living room into a campsite complete with s’mores, flashlights, and popcorn. I held back tears as my son excitedly rolled his Teenage Mutant Ninja Turtles sleeping bag next to his father’s not-so-exciting blue sack. Later when Nico danced and sang his mixed-up rendition of “Jingle Bells,” our laughter mingled with tears. Our unspoken words blasted the same thought: Will this be the last time? Tony’s crew finished loading the bags as the dreaded moment neared. Did he have to walk toward us so fast? Slow down! Nico leaped up into his daddy’s arms. Tony and I clung to each other tightly, sandwiching Nico in an embrace. I can’t remember the words spoken, just that I didn’t want to let go of the man who was the crux of my existence and the heartbeat of our family. The commander’s orders to board ended our goodbye. As the crew of daddies filtered onto the plane, our small group of spouses hugged our children closer. Hoping he could still see us standing alongside the runway, Nico and I waved at the tanker that taxied both Tony and me into unknown territory. Along with my first deployment goodbye, I was introduced to the military spouse’s troublesome trio: fear, uncertainty, and worry. If military spouses and family members leave these emotions unattended, they will become the unwanted houseguests that never leave. Yet, we greet these mental home wreckers at our mind’s door, offer them our favorite recliner, and entertain them until we are mentally, physically, and spiritually drained. They startle us from a good dream, race our heartbeat, and steal away valuable rest so we become short-tempered with our family and coworkers. The tormenting trio of emotions is destructive. I glued myself to the news channels, which broadcasted new fears continually. Footage of allied planes blasting Iraq with bombs played on every station. I watched carefully to see if I recognized any B-52s in the mix. Televised images of a battered, bloody American taken prisoner by Iraqi soldiers saturated the news and haunted my dreams. Would I see my husband’s face simulcast on every station like this poor man? My heart poured out sympathy for him and his family. I wondered whether I could handle their situation. Within weeks dishes stacked up, laundry towered, and sleep rarely visited my bed. The ulcers lining my gums caused by worry inflicted so much pain that I struggled to eat solid food and sought medical help. Military friends invited me regularly to a Friday evening Bible study. Each time I politely excused myself thinking, Who holds Bible studies on Friday nights? Although I had accepted Christ as my Savior three years earlier, praying with others in someone’s living room was as far out of my comfort zone as my annual PAP smear. I was raised to believe faith was a private issue, not something you shared with others, and certainly not with a group. 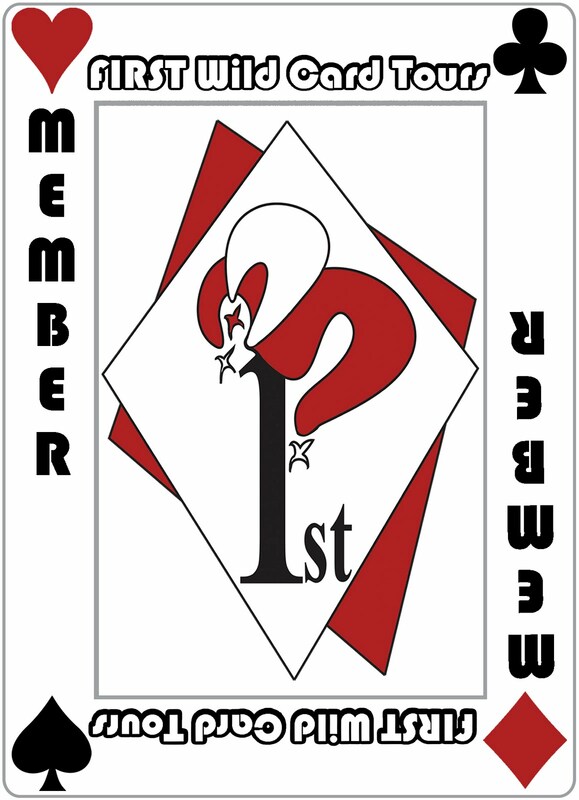 However, one night a study member caught me off-guard and, once again, invited me. I agreed to attend. During the meeting, as individuals presented their worry-related prayer requests, a strange wave of comfort rushed over me. I wasn’t alone. We all faced the same anxiety. I detected in them a peace I craved, and I prayed for the first time that God would grant me that peace. I soon realized that although I believed in a powerful God, I didn’t trust Him with my daily worries or ask guidance for decisions Tony normally handled. Through studying the Bible and praying with fellow Christians, I learned that no concern was too small for God. Bible Study Fridays soon became my favorite event of the week. I bundled up my fears and finally abandoned them at God’s doorstep. From that day forth, instead of entertaining fear, I focused on maintaining my physical health, praying away my anxiety, and planning fun activities to give our spouses’ worry-filled minds a reality break. Lack of sleep had invited anxiety to inhabit my mind. I began to rest when my son napped. I exercised unwanted stress away. When pesky worries tried to pitch camp in my thoughts, prayer booted them out. I attended the Friday Bible study regularly. During the week, I organized mom and kid dates, progressive dinners, and enjoyable outings. A lingerie party for wives became a big hit. A common military saying that refers to shielding a comrade from harm stems from the numbers on a clock’s face. The twelve represents what lies in front of you and the six signifies what lurks behind. When someone has “got your six,” that means he or she will ward off enemies from behind. Trusting God offered no guarantee that my husband would come home safely or that life would return to “normal,” but I learned that I didn’t walk alone. God cared about my daily challenges. He not only has my six; He knows what’s ahead. God’s got my twelve, as well. Lord, thank you for assuring me that I am not alone. You are always near. Help me to cast anxiety at your doorstep and leave it there. When life gets hectic and uninvited worries start to invade, help my family and me experience the peace that comes only through trusting you. WHAT WORRIES YOU? What steps are you taking to halt anxiety from holding your thoughts hostage? What activities are you participating in to help your physical, spiritual, and emotional condition? Have you invited God to walk beside you? Combat Faith and Military Ministry encourage and strengthen Christians’ faith in Jesus Christ. Learn more about these websites in the Resources section in the back of Called to Serve. Called to Serve is great little devotional-style book for military families. The authors share stories from their personal experiences to help those who are dealing with the same issues. Who better to get advice from than someone who's already been there? Fear, Transition, Loneliness and Grief, Avoiding Destructive Behavior, and Communication are all addressed in this book. There are 31 chapters and they all end with a scripture and a note of encouragement. In the back of the book you'll find 19 pages of resources, most of which I didn't even know existed. A great help! This book is for military families and will be a great help to them.... but even if you aren't a military family, I believe this book will have something in it for you as well. Great lessons that apply to any family.